A payroll consultant offers advice and support to the payroll department and beyond, playing an important part in the running of this key area of the business. As payroll can be a complicated area, especially for employees from other departments of a business, it is highly important to have an experienced and knowledgeable payroll consultant on hand to solve any potential issues. Payroll consultants are also extremely valuable if you are introducing a new system to the department and need advice on the implementation, as well as offering specialist support for a range of other possible topics. A further scenario which may require the appointment of a payroll consultant is the potential introduction of an expat payroll. A temporary payroll consultant can advise of the logistics and feasibility of introducing such a system for employees who are based abroad, as well as offering support on how to run this type of payroll in the most effective way. Once you are satisfied that an expat payroll is a worthwhile venture, an experienced expat payroll manager can be appointed to make the idea a reality. The introduction of a new type of payroll software which is unfamiliar to the current members of the payroll department is another situation which could require a payroll consultant to be brought in. Someone with a knowledge of the system and how it operates can be invaluable in cases like this, using their experience to ensure that the payroll team does not drop in productivity as a result of a change of system or software. Of course, there are many other scenarios where an expert payroll consultant may be required to step in and assist your business. The world of accountancy and payroll is a constantly changing one, and it is always wise to have a knowledgeable and trustworthy source to turn to in the event of an unexpected challenge emerging. A payroll consultant could also be extremely useful if your business is one which has particularly busy times of year. Examples of this include the retail industry during the festive period and January sales, as well as ventures aimed at children which are likely to see spikes in interest during the school holidays. If your business is required to take on additional temporary staff during times such as this, Portfolio Payroll can help you to recruit a consultant with a particularly strong knowledge of this area – an individual that can ensure the situation is dealt with in an efficient and cost effective manner. Portfolio Payroll can help with the recruitment of a full range of jobs in payroll, from a payroll consultant to an expat payroll specialist or payroll accounting positions. 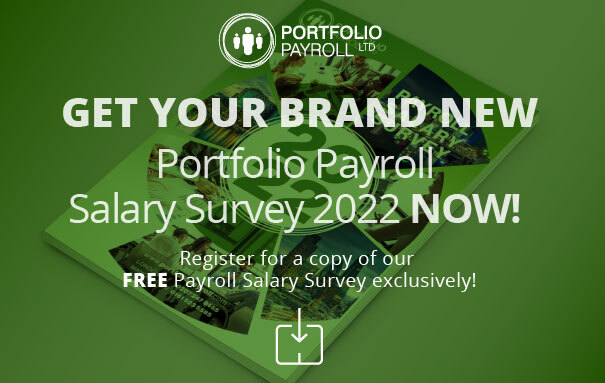 To get in touch with Portfolio Payroll regarding recruiting for your business or applying for a vacancy, visit the contact us section of the website. Alternatively you can call us on 020 7247 9455, or email recruitment@portfoliopayroll.com.